Condition: 100% fully processed .223/5.56 brass. Brass is sourced from indoor shooting ranges. 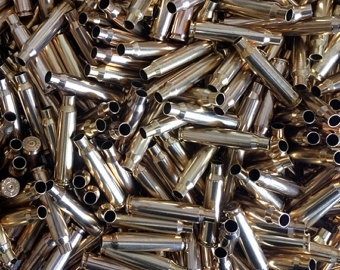 Brass has been stainless cleaned inside and out, polished, deprimed, swaged (crimp removed), full-length sized and trimmed to 1.750" (+/- .003").